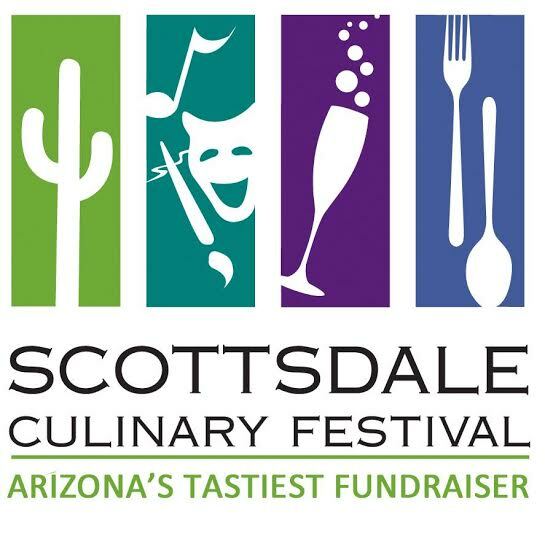 Prepare your palates for Arizona’s tastiest fundraiser, Scottsdale Culinary Festival, at the Scottsdale Civic Center Mall on Saturday, April 16 – Sunday, April 17, 2016. Hosted by the Scottsdale League for the Arts, over 40 local restaurants will serve their best culinary creations for guests to taste and devour what the Valley has to offer. The 25-acre Scottsdale Culinary Festival grounds will feature eleven themed zones jam packed with interactive experiences to taste, sip and celebrate the Arizona food culture. Highlights include 40 local restaurants, 30 craft breweries, 20 bands, a teen cooking challenge, chef demos, family zone, wine garden, and a vodka lounge. Access to all zone activity is included in the general admission ticket pricing, with the exception of the VIP zone and the Southwest Festival of Beers. Hosted by Blue Moon, the Southwest Festival of Beers will feature 200 specialty beers from local and national craft breweries, food from local restaurants and beer games. In the Culinary Experience Tent education is the focus with a mixology demo, chocolate making demo, meet the brewers panel, scent and food paring seminar and urban farming seminar. Presented by Pismo Beach CVB, the Epicurean Expo will feature chef demos, student cooking challenges, wine seminars and the latest in kitchen and cooking gadgets. Upstairs overlooking the Expo will be a lounge area to kick back and enjoy a specialty cocktail by top mixologists. The lounge will also feature phone charging stations. Fun abounds in the Family Zone where kiddos will enjoy face painting, bouncy houses, carnival games, a magician, crafts and more. Take a break from and enjoy live entertainment on three stages or head over to the Skyy Bar, Campari Cocktail Deck and the Francis Ford Coppola Winery Wine Garden to try the festival libations. Saturday, April 16, 2016, noon – 9 p.m.
Sunday, April 17, 2016, noon – 6 p.m.
Next → Next post: Tilted Kilt Tempe Pays Your Taxes on Tax Day!